Click on any of the student organizations below to learn more about the group, find its contact information, or subscribe to its mailing list. The Columbia Law School chapter of the ACLU serves to focus attention on constitutional law and civil liberties issues of national, regional, and campus interest, as well as to encourage hands-on involvement in protecting civil liberties. Past events have included debates, speaker panels, and training sessions. It also engages in activism, such as petitioning state and federal officials, election monitoring, or distributing information to inform citizens of their rights. The Columbia Law School chapter of the American Constitution Society (ACS) brings together powerful, relevant ideas and passionate, talented people to advance progressive values in the constitutional, legal, and public policy debates that continue to shape our democracy. Our chapter works to amplify progressive voices and create an open and inclusive space for legal thinking at CLS. Things we do: protect the right to vote; advocate for reform in our broken criminal justice system; pursue justice for historically marginalized groups including racial and ethnic minorities and members of the LGBTQIA community; support a path to citizenship for millions of undocumented Americans; advance the scholarship of innovative, progressive legal thinkers; and so much more. Asian Pacific American Law Students Association (APALSA) facilitates academic and professional development and hosts numerous social events throughout the school year. Members build incredibly strong friendships that carry us through law school and last well beyond graduation. It also works with APALSA chapters at other New York area law schools to build a network within our wider community. Black Law Students Association (BLSA) is an inclusive organization where students can learn and develop the tools necessary to achieve academic and professional success. It provides academic support, alumni resources, and career opportunities to its membership, and raises awareness within the Law School community about issues that disproportionately impact poor and minority communities. BLSA is a chapter of the National Black Law Students Association, the largest law student-run organization in the United States. The California Society of Columbia Law School (CalSoc) is dedicated to representing and developing the ties of the many Law School students and alumni with an interest in California. With more than 300 members and more than a dozen events a year, it is committed to developing a social, intellectual, and professional environment for students and alumni through events, extensive job resources, panels, speakers, and mentoring programs. If you are interested in spending time with Canadians and the people who love them, regardless of your national origin (they’re far too nice to hold it against you), then this is the club for you. Social events include have Thanksgiving at the proper time, cheering for real hockey teams, and a love of putting both cheese AND gravy on their fries. Chambers seeks to facilitate and encourage student exposure to the court system in New York – specifically, the State and Federal courts at Chambers St. in lower Manhattan. We believe every law student can benefit from exposure to court proceedings and hope to use curated court schedules, networking opportunities, and professional events to enrich the lives of students at CLS. The Christian Legal Society is a non-denominational Christian fellowship that conducts weekly meetings and social events that are open to people of all religious and non-religious persuasions. The group’s main focus is forging a Christian community in the Law School, as well as discussing and learning how the Christian faith can play a vital role in one’s study and practice of law. The Civil Rights Law Society is an organization dedicated to initiating discourse on civil rights issues, domestic and international, both within and beyond the Law School community. The group seeks to support the academic and professional development of Columbia Law students who hope to one day practice in the area of civil rights law or who are committed to social justice. CRLS is also committed to connecting students to a variety of pro bono projects held in New York City and across the country. The purpose of the Columbia Antitrust Law and Economics Association (CALEA) is to congregate Columbia Law students, professors, and alumni interest in legal issues in connection with the study, practice, and development of antitrust law both in the U.S. and in other jurisdictions. The Columbia Business and Law Association is the Law School’s only student group dedicated to the interaction between law and business. It aims to provide a forum for students to pursue scholarship and professional opportunities in business both within and outside of law. The Card Club is dedicated to bringing members of the Law School together for card games and tournaments, as well as creating opportunities to meet fellow players. It is also committed to creating dialogue within the Law School and the legal community surrounding the legal and regulatory issues of card-playing. The Columbia European Law Association is a Eurocentric student group for all those interested in European law, policy, jurisprudence, institutions, firms, and NGOs. We monitor developments of interest to the transatlantic relationship in its broadest sense but also Europe’s relationship with Africa and Asia. Our perspective is all of Europe and not limited to the European Union with its member states, much less to the Eurozone. Students from all law degree programs, cultures and nationalities are cordially welcome to participate in our activities. The Columbia Gastronomy Society fosters the understanding, knowledge, and appreciation of the art and science of food and cuisine amongst Columbia Law students, and endeavors to take members behind the scenes of gastronomy. The Columbia Health Law Association aims to promote discussion of both public and private health law issues among Columbia Law School students, faculty, and health law practitioners. It covers a broad scope of health law topics, including government regulation of the healthcare industry, public health law, healthcare business and transactions, access to healthcare, pharmaceuticals and biotechnology, mental health law, and bioethics. The purpose of the Columbia International Arbitration Association (CIAA) is to bring together Columbia Law School students, professors, alumni, and arbitration practitioners interested in the study, practice, and development of international arbitration as an individual discipline. The Columbia Law Chess Club meets weekly to play games, learn tactics and strategy, and study chess. Occasionally we will play chess variants such as bughouse. All ability levels are welcome, beginners are encouraged to come and learn new tactics. The Columbia Law and Entrepreneurship Society is for law students with a business and entrepreneurial mindset. It brings together industry leaders in technology, sports, and law to discuss hot trends and the business and legal decisions they face. The Columbia Law Feminist Society (CLFS) aims to promote feminist voices on campus and inspire Columbia Law School students to incorporate feminist viewpoints into their approach to the study of law and the legal profession, through social justice activities and engagement with contemporary issues. Columbia Law First Generation Professionals (FGP) is an inclusive community that works to provide support to working class, low income, and first generation college or graduate students at Columbia Law School. The FGP community is a conscientious network organized around principles of economic justice rather than identity. We seek to welcome and empower students from all walks of life who are at CLS chasing their own dreams, and who often represent the hopes and dreams of their families. FGP is open to anyone who wants to cultivate a community based on the common values of class-consciousness and mobility for all, regardless of whether they fit perfectly into any “first generation” category. The Columbia Law Mock Trial Team provides law students with an opportunity to develop valuable trial advocacy skills in a competitive environment. The team will compete externally in Mock Trial competitions that involve both criminal trials and civil trials. The Team will also connect students with a community of their peers who are interested in careers that involve trial advocacy. The Columbia Law Revue is one of the world’s leading organizations for making fun of legal scholarship and tradition. Founded in 19? ?, the Review is an independent nonprofit organization that produces a fall and spring semester show written and performed entirely by students at Columbia Law School. It is one of a handful of law school musical parody groups in the nation that performs twice a year and produces no actual legal scholarship. The Revue is one of the most celebrated and criticized law Revues in the country. It receives about X auditions per year and selects approximately all of them to perform in the show each semester, in addition to the Law Revue Band. In 2007, the Revue expanded its audience with the launch of a YouTube channel where it posts its videos. Columbia Law Revue Online, not to be confused with Columbia Law Review Online, does not exist apart from a Youtube channel and a highly secret Facebook group where we share Air Bud puns and memes. It brings together a diverse group of legal scholars, practitioners, community leaders, and judges, into one forum for mercilessly mocking the legal profession. https://columbialawreview.org/about-the-review-2/"
The Columbia Law School Competitive Table Sports Society is a student group focused on promoting small-scale student interactions and building personal relationships through competitive table sports. These include time-honored American pastimes like pool, table tennis, snooker, billiards, mah jong, table twister, and—everyone’s favorite—manual ping-pong. The Columbia Craft Beer Club is a student-founded organization devoted to the brewing and appreciation of craft beer, both local and international. As the craft beer community evolves and grows, it is increasingly recognized as an essential element of American culture and society. Our club’s mission is to expose the Columbia Law School community to the many facets of craft beer through tastings, outings, home-brewing sessions and tutorials, and other events open to all students. Columbia Law School Disc promotes ultimate Frisbee and other disc-related sports at Columbia Law School. It hosts weekly co-ed games that are friendly, competitive, and open to all skill levels. The Columbia Law School Murder Mystery Society is a group dedicated to writing and producing live-action murder mystery games for CLS students to participate in. The Columbia Law School Military Association is a non-political, nonpartisan social group whose purpose is to promote camaraderie and networking among Columbia Law School military veterans and civilian students, to explore and develop local veteran-related volunteer and pro bono opportunities, and to stimulate thoughtful discussion about the military and its role in modern society. Military service is not a prerequisite for membership. The Columbia Law School Soccer Club organizes weekly co-ed soccer games. Games are open to all skill levels. The Columbia Law School Softball Club hosts weekly games just a few blocks from campus, fields teams against the other New York City law schools, and competes in University of Virginia's annual law school softball championship, which attracts more than 1,000 law students from schools all over the country. The Columbia Law School Texas Society (TxSoc) is a group of students interested in the law and/or culture of the state of Texas. It is geared toward fostering relationships among students and practitioners, as well as appreciating and celebrating the world of barbecue, Tex-Mex, and college football. The group also works to connect students from other areas of the Deep South with students and employers from those markets. The Columbia Law School Women’s Association (CLWA) works to advance the position of women in the Law School, legal profession, and society at large. CLWA fosters an inclusive community for women within the Law School and provides career and academic resources to members and to the law school community. The Columbia Law School Young Democrats provide a link between students at Columbia Law School and the Democratic Party. Its objective is to provide a forum for discussion, debate, and activism reflecting the broad principles of the Democratic Party. CLSP is a student group working to raise awareness of the legal issues that Palestinians face. CLSP is devoted to promoting a lasting peace in Palestine/Israel that is grounded in international law, self-determination, and respect of the rights of all peoples. The Columbia League of Nations (CLN) is a multinational student organization which brings together Columbia Law Students of all nationalities and puts their knowledge of their countries to the service of the others. Through periodic expositions, this inter-cultural enrichment platform will help all current and future students understand other countries’ culture, geography, local customs, attractions, fun facts and particular aspects in order to recognize every nation as a unique and extraordinary component of our world. The Columbia Muslim Law Students Association (MLSA) serves as a social and educational group at Columbia Law School for Muslim students and non-Muslim students interested in legal issues impacting Muslims at large and Islamic countries. The group welcomes Muslim and non- Muslim law students at Columbia Law School to form a community and explore legal issues facing the Muslim community and Islamic world, address misconceptions about Islamic law and the legal ramifications of non-Islamic laws for the Muslim community, and explore the law from a religious and cultural view. The Columbia Real Estate Law Society (CRELS) aims to spark dialogue about real estate law, development, and property management; present networking opportunities with practitioners in those fields; and inspire creative approaches to real estate. The Columbia Society of International Law is Columbia Law School’s principal student group dedicated to issues involving international law. The society informs its members about opportunities to practice international law and current issues in international law; provides members in-person access to many of the top international firms; allows members the opportunity to meet leading scholars in the field; offers guidance and advice on career paths in the fields of public and private international law; and provides opportunities for American and international law students and alumni to form connections with each other that span the globe. The Columbia Southeastern and Eastern European Law Society (CSEELS) is both a social and a professional development organization. CSEELS’ dual purpose is (a) to inform the law student body of the legal issues surrounding international developments in and affecting the region, and (b) to provide opportunities for the appreciation and understanding of Southeastern and Eastern European cultures. The Columbia Strategic Simulation Society is a group of Law School students dedicated to the enjoyment of strategic simulations such as Settlers of Catan, Dominion, and Puerto Rico. It aims to benefit the Columbia Law School community by providing a group-oriented social outlet through promoting and teaching strategic board and card games. The Commuter Club is a network of Columbia Law School commuters and their friends. It aims to connect commuters with upperclassmen mentors who can provide tips on how to succeed at the Law School while also remaining (or becoming) members of their local neighborhoods and communities. The Criminal Justice Action Network is an organization dedicated to increasing actual justice in the criminal justice system. It also works on related issues such as the abolition of the death penalty, improved indigent defense, and prisoners’ rights. The group’s mission is threefold: to increase awareness of such issues in the Law School community, to assist attorneys on various cases, and to encourage interaction among students interested in improving the criminal justice system. 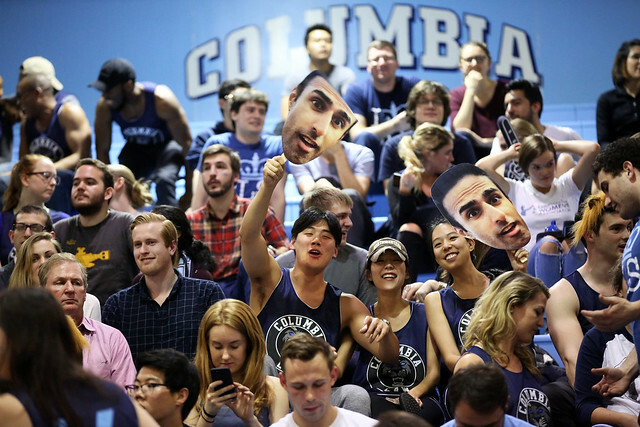 The Deans’ Cup is one of the largest student-run events in America, an annual basketball competition between teams from Columbia Law School and New York University School of Law. The Deans’ Cup raises funds for public interest organizations at both schools while uniting them in school spirit that rivals the best in sports. It is one of the most exciting events of the year! De Vinimus, Columbia Law’s Wine Tasting Society, is a group of young wine enthusiasts, who, while doubling as law students, organize multiple tastings throughout the year for Columbia Law students, alumni, faculty, and guests. District of Columbia Law Students is an organization for all law students interested in the practice of law in the nation’s capital–whether they are from the DC region, plan on returning, or are otherwise interested. We serve as a resource for all students who are seeking to work or volunteer in the area, or to meet other Columbia Law students interested in the region. The group also sponsors social events both in DC and on campus during the school year and over the summer. The Domestic Violence Project raises awareness about domestic violence and provides legal services to survivors. Under its umbrella are four pro bono initiatives, including the Courtroom Advocates Project, which helps survivors obtain orders of protection against abusive partners; the Uncontested Divorce Workshop, which assists low-income women, who are also victims of domestic violence, obtain divorces from their batterers; the Human Trafficking Intervention Court Project provides immigration screenings to potential victims of trafficking who have been arrested for prostitution-related offenses; and the U-Visa project, which assists undocumented immigrants in abusive relationships in obtaining residency status. All students with an interest in issues of domestic violence are welcome to join our pro bono initiatives and participate in DVP events. The Education Law and Policy Society is for anyone interested in the interaction between law and policy as related to education. EdLaw organizes a wide range of events, provides pro bono opportunities, and offers peer mentoring for 1Ls. Empowering Women of Color (EWOC) exists to champion diverse women at Columbia Law School in light of the unique challenges they face in the legal profession. The group provides a safe space for collaboration and dialogue about issues relevant to women of color, supports members in their development as full participants in academic, professional, and personal communities, and strives to ensure that the greater Columbia Law School community is an environment where all members feel valued, respected, and empowered. The Entertainment, Arts, and Sports Law Society is for students interested in legal careers in the entertainment, arts, or sports industries. It explores legal issues and trends affecting these industries and educates students about career opportunities through panel discussions, practitioner lunches, roundtables, and lectures. Organization members are afforded the chance to meet and network with top entertainment, arts, and sports law practitioners, including many Columbia alumni. The Environmental Law Society welcomes students who want to learn more about the wide range of environmental issues that permeate the legal landscape. ELS assists students in developing careers in environmental or energy law, advocates for an administration and a curriculum that sufficiently incorporates environmental and sustainability policies and courses, and hosts and organizes environmental events at Columbia Law School. The Federalist Society for Law and Public Policy Studies is a group of independent-minded law students interested in the current state of the legal order. It is founded on the principles that the state exists to preserve freedom, that the separation of governmental powers is central to the U.S. Constitution, and that it is emphatically the province and duty of the judiciary to say what the law is, not what it should be. The Harlem Tutorial Project is a joint effort between Columbia Law School and Columbia Business School, and provides tutoring and mentoring to students at a secondary school in Harlem. The High School Law Institute provides Columbia Law students the chance to teach students from New York City high schools. The institute’s student-teachers help their students build oral advocacy and writing skills through classes in criminal law, constitutional law, moot court and mock trial. It also focuses on exploring the relevance of legal topics to students’ lives and developing students’ ability to effectively articulate their opinions. If/When/How is a national network of law students and professionals committed to promoting reproductive justice. We fight to ensure everyone can decide if, when, and how to create and sustain families with dignity—free from discrimination, coercion, or violence. The organization educates, organizes, and supports law students with extensive resources, and career and advocacy opportunities to advance reproductive justice. The J. Reuben Clark Law Society (www.jrcls.org) is an international legal organization dedicated to “striving through public service and professional excellence to promote fairness and virtue founded upon the rule of law.” In particular, we affirm the importance of a lawyer's religious convictions and freedom of religion generally as integral elements of our cultural heritage and continuing ethical framework. All are welcome and encouraged to join us as we work to build conversations on campus at the intersection of the law, ethics and our core moral values. The Columbia Chapter is also included in regular meetings hosted by the NYC Professional Chapter. The Jewish Law Students Association (JLSA) is a social, cultural, educational, and religious organization that welcomes all students interested in Jewish life and culture, regardless of background or level of observance. In addition to serving as a helpful resource for Jewish students on campus, JLSA seeks to bring together and cultivate a warm, pluralistic community at CLS through events such as holiday parties and celebrations, Shabbat meals, and study breaks. JLSA also provides a place to explore the law through a Jewish lens, along with other relevant topics of interest, through educational events such as guest speakers and panel discussions. The Latino/a Law Students Association (LaLSA) sponsors academic, professional, social, and community service activities to promote understanding of the Latino community, and serves as a liaison between its members and the administration, alumni, and other professionals in the legal field. The association also works to increase the number of Latino/a students and faculty at Columbia Law School and to ensure that students receive the necessary support to achieve academic and professional success. The Law in Africa Society is a dynamic and diverse community of students, alumni, and faculty that seeks to educate, encourage, and inspire interests in African jurisprudence, society, and institutions. Our goal is to provide avenues for discussion and a robust exchange of ideas on issues concerning Africa and how they inter-relate with the United States and the rest of the world. Law Students for Social Enterprise (LSSE) is dedicated to exploring the field of social enterprise and to informing law students about unique opportunities for promoting social value. LSSE recognizes that lawyers can have a positive social impact through a variety of legal and nonlegal careers. The CLS Legal Technology Association is a student-led organization that aims to centralize and develop education, community and innovation in the field of legal technology and to promote, encourage and assist Columbia Law Students in their pursuit of careers in law using or creating legal technology. CLS Legal Tech aims for its members to gain exposure to the broad scope of available legal technology, empowering the practice of all areas of law. The mission of Loquitur is to provide a mutually supportive and positive learning environment in which every individual member has the opportunity to develop oral communication and public speaking skills, which in turn foster self-confidence and personal growth. Lawyers are often touted as polished wordsmiths; however, many law students suffer from issues that inhibit their oral communicative capabilities. Loquitur seeks to address these issues by providing structured speech instruction and a venue in which members can work on oral communication skills and demonstrate their advances through club speech events, where members give speeches in a comfortable, encouraging, and uplifting setting and receive feedback to further shape their progression. Maximus Gravitas Weight Lifting Club seeks to unify members of the Columbia Law School community interested in weightlifting, powerlifting, bodybuilding, and general health and fitness. Mentoring Youth through Legal Education is a debate coaching program at Columbia Law School, which functions as the law student-run portion of Legal Outreach. Legal Outreach prepares youth from underserved communities in New York City to compete at high academic levels by using intensive legal and educational programs as tools for fostering vision, developing skills, enhancing confidence, and facilitating the pursuit of higher education. Middle Eastern Law Students Association (MELSA) is an affinity group for students of Middle Eastern descent and all students who have an interest in Middle Eastern cultures, languages, and issues. It seeks to raise awareness and promote dialogue on a range of topics, including human rights, democratic transitions, Islamic law and finance, gender issues, and the conflicts in the region. MELSA encourages students from all backgrounds and with all viewpoints to join. The Midwest Society of Columbia Law School is committed to creating a cozy community of unabashed lovers of the Midwest. United by friendliness, we are dedicated to fostering the social, intellectual, and professional development of the many Columbia Law School students and alumni with an interest in the Midwest. Modern Money Network is a global, student-run initiative that promotes public understanding of money and finance. The Columbia Law School chapter in particular, organizes public seminars, debates, conferences and reading groups, publishes articles and interviews, and connects students with academics and practitioners in a range of professions. You can check out past programs at http://www.modernmoneynetwork.org/. The National Lawyers Guild is the nation’s oldest and largest progressive bar association and was the first one in the US to be racially integrated. Our mission is to use law for the people, uniting lawyers, law students, legal workers, and jailhouse lawyers to function as an effective force in the service of the people by valuing human rights over property interests. The NLG is dedicated to the need for basic change in the structure of our political and economic system. Our aim is to bring together all those who recognize the importance of safeguarding and extending the rights of workers, women, LGBTQ people, farmers, people with disabilities and people of color, upon whom the welfare of the entire nation depends; who seek actively to eliminate racism; who work to maintain and protect our civil rights and liberties in the face of persistent attacks upon them; and who look upon the law as an instrument for the protection of the people, rather than for their repression. The National Security Law Society promotes discussion around vital issues of national security, privacy, the laws of war, and more. It works both to promote greater understanding of the legal issues at the heart of current national security policy and to advance careers in national security law. The Native American Law Students Association (NALSA) fosters academic support for Native American students and others interested in American Indian legal issues and provides a social and academic network for students interested in indigenous legal and cultural issues by increasing awareness of viewpoints, cultures, and governments across the world. The Negotiation Association is dedicated to empowering Columbia Law School students to become better negotiators and problem-solvers. To that end, we invite top negotiators from a range of fields to come and speak about their negotiating experiences. The Negotiation Association also hosts the annual Columbia Law School Negotiation Competition. The New England Law Students Association is an organization for students who hail from New England, plan to practice there after law school, or are otherwise interested in the region’s unique legal community. We sponsor a variety of professional and social events. Membership is open to everyone in the Columbia Law School community, regardless of your home state or Major League Baseball team allegiance. Nihon Houritsu Kenkyuukai, or the Japanese Legal Studies Association, serves the legal community by organizing social, cultural, and educational events related to Japan, as well as providing information on the many opportunities available at Columbia and in New York for people with Japanese interests. In addition, it strives to facilitate interaction between Japanese members of the Law School community and those interested in Japan or Japanese law. Outdoors Club aims to bring together members of the Columbia Law School community by promoting camaraderie in the appreciation and enjoyment of the natural world in all seasons; the attendant mental and physical health benefits of outdoor recreation; the productive and beneficial use of leisure time; and the development of such personal traits as leadership, adventurousness, perseverance, and integrity. In its activities, the Outdoors Club may promote a wide range of outdoor pursuits, including, but not limited to, skiing, hiking, snowshoeing, skating, and climbing. OutLaws is Columbia’s LGBTQ and ally law student organization, providing programming that spans the gamut from advocacy and policy work to academic mentoring to professional development to social events. It aims to create a strong LBGTQ and allied community at Columbia. OWLS is a group of Columbia Law School students who have come to law school after other careers and believes that sharing this different perspective on the law school experience will help them become better law students and eventually better lawyers. The group organizes events with lawyers with nontraditional backgrounds and social events focusing on older and wiser things. We are group of dedicated fencers who enjoy the precision and sport of foil, épée, and sabre. Weekly bouts provide the opportunity to sharpen our fencing skills and leave the study chair for some fast-paced exercise, followed by some slow-paced happy hours. The Public Defender Students of Columbia Law School is for students interested in becoming public defenders, the noble rank of individuals who represent poor people accused of crimes, or who otherwise are at risk of the government depriving them of their rights, life, liberty, or property. In general, students interested in serving poor people as criminal, housing, family, and immigration defense attorneys can all find a home within this group. PDSCLS's mission is to make Columbia Law School a better place for all of its future public defenders. The Public Interest Law Foundation is an organization devoted to the public interest. It is an independent, not-for-profit corporation that raises money and uses it to support public interest pursuits at Columbia Law School and beyond. The foundation helps to enable students to pursue unpaid public interest internships through the annual PILF auction, and provides grants to nonprofit organizations around the country, donating approximately $80,000 to $100,000 each year. Queer and Trans People of Color (QTPOC) serves as a safe space and an empowerment resource for QTPOC and QTPOC allies at Columbia Law School. This group recognizes that identity is intersectional and creates spaces where folks can embrace and celebrate gender expression, sexual orientation, as well as racial and ethnic backgrounds. Rightslink is a student-run human rights organization dedicated to fostering a human rights community within the law school. We provide students with opportunities to engage in human rights advocacy and research, as well as to connect with practitioners and academics around New York. Working closely with the Human Rights Institute, Social Justice Initiatives, and the Human Rights Clinic, Rightslink organizes a variety of events, research projects, and trainings on human rights issues throughout the year. Running from the Law seeks to bring members of the Law School community together and provide an escape from everyday student life through exercise and the enjoyment of running. Whether you are just starting to run or are an experienced runner, we welcome all to join us to explore the best routes in the City. The Society for Chinese Law is for students interested in any and all things related to China, law, and politics. Society events provide a great way for students to network and to meet scholars and practitioners in the field of Chinese law. They are also a great way to get to know members and friends who hail from China, the U.S., and beyond, and have a great diversity of experiences working in or with China. The Society for Immigrant and Refugee Rights is dedicated to fostering a diverse community at Columbia focused on promoting the legal rights of refugees and immigrants. During the school year, SIRR sponsors guest panels, administers various pro bono projects, and leads trips domestically and abroad. The Society for Korean Legal Studies (SKLS) is an organization for those in the community interested in Korea, organizing career, social, and academic events related to Korea and Korean interests. SKLS also aims to promote the study of Korean law and legal institutions. The Society for the Advancement of Law and Talmud (SALT) is for all Columbia Law students interested in the study of Talmud, Talmudic Law, or the intersection between Talmudic Law and US Law. It seeks to create a community for Talmud scholars of all levels and to help them excel in their academic and professional development through facilitating daily or weekly study sessions, holding monthly talks by members of the Society, conducting panel discussions, or hosting guest speakers. The Society of Law and Ethics seeks to explore the ethical issues that arise in the practice of law. Through panels and featured guest speakers, the society’s aim is to critically examine a range of professional contexts in which law and ethics seem in tension, and to determine ways in which they can be reconciled. In these debates and discussions, the society wishes to provide a forum for students to navigate the dilemmas they may face as future legal practitioners, whether in private, public, or government practice. SLE insists on respect for well-considered points of view and takes no normative position as an organization. The Society for Law, Science and Technology is focused on science and technology and their influence on law and policy. Society topics of interest include patent law, cyberlaw and internet issues, biotechnology, privacy, telecommunications, information management and e-discovery, venture capital and startups, and general intellectual property issues. It organizes panels, lectures, and practitioner networking events that connect students to professionals in the field. The South Asian Law Students Association (SALSA) promotes discussion and awareness of issues affecting South Asians, particularly with respect to the law. We also strive to create a sense of community among students of South Asian heritage as well as those interested in South Asia by organizing numerous social, cultural, educational, and professional events throughout the year. The Squash Club is Columbia Law School's prime spot to enjoy the game of squash. It arranges several tournaments and happy hours each semester, and it frequently hosts informal squash games for members. Other events include squash instruction and trips to professional squash tournaments in New York City. The Student Animal Legal Defense Fund exists to educate the greater law school community about animal welfare issues and how the law may protect—or not go far enough in protecting—animals. The Fund also interacts with New York-based animal rights groups through pro bono assistance. Student Public Interest Network (SPIN) strives to build a community for students interested in pursuing public interest law and provide a network for public interest collaboration at Columbia Law School through monthly social events and mentoring programs. The Student Senate is the official representative body for all Columbia Law School students. Its primary responsibility is to address student concerns either through direct action or by acting as a liaison to the administration and faculty. Overall, the Senate’s job is to serve the student body and to make life at Columbia as interesting, rewarding, and enjoyable as possible. The Suspension Representation Project is an advocacy group whose mission is to safeguard the right to public education by training law students across New York City to represent NYC public school students in suspension hearings. Working in teams, law students develop valuable legal skills by interviewing clients, gathering evidence, conducting direct and cross examinations, and delivering closing arguments. The Tenants’ Rights Project works to provide effective legal representation to low-income individuals and tenant groups. Participants can expect to defend clients in housing court, draft motions in preparation for trial, and perform client intake interviews. It also functions as space for participants to discuss housing policy and direct services in New York City and beyond through on and off campus events. The Transfer and Visiting Student Organization (TVSO) is open to all students. The organization is designed to ease the integration of transfer and visiting students into the Columbia Law School community. VES is dedicated to promoting student camaraderie among members of the Law School class by hosting a weekly meeting to discuss and play video games. Members are well aware of the cutting edge legal and business issues in one of the largest and most important entertainment industries globally. As the virtual entertainment community evolves and grows along with the technology sector, VES will be sure to produce informed lawyers prepared to tackle the novel legal issues that will inevitably arise. The Whiskey and Spirits Club is a student-founded organization dedicated to bringing members of the Law School together for a well-crafted glass of whiskey or cocktail. The Club’s membership is inclusive and all preferences—from Speyside single malts to Dominican rums—are welcome! Workers’ Rights Student Coalition aims to promote the rights of workers throughout the world. The coalition educates and brings together members of the Law School community to engage in discourse about workers’ rights and to provide opportunities to bring justice to the workplace. The Yoga Club provides weekly open-level yoga classes to the Columbia Law School community. Classes are in the flowing vinyasa style and are taught by Om-certified yoga instructors.